This book brings together all the elements that fascinate young minds. Ann Rand passed away in 2012, but her legacy remains with the release of What Can I Be? It is one of her unpublished works from the 1970s that was discovered and published as a wonderful work of imagination and storytelling. 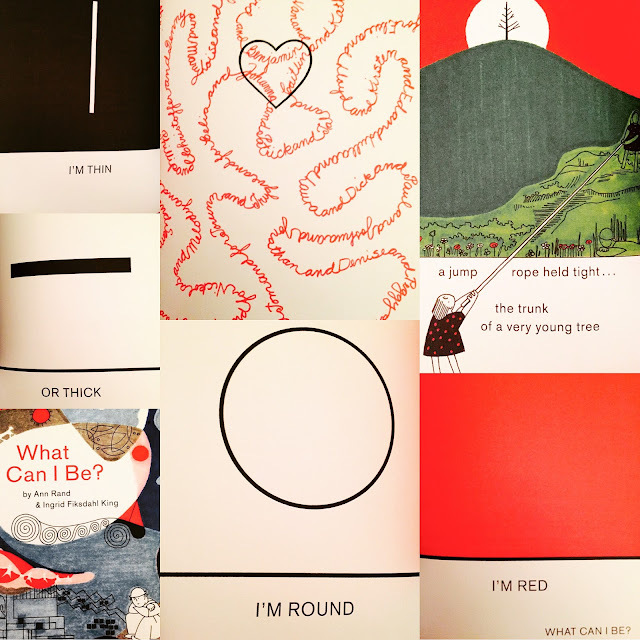 Ann Rand was once married to the great designer Paul Rand, and in the 1950s their collaboration produced a slew of children's books including I Know A Lot Of Things and Sparkle and Spin. The graphics engage and delight. The prose takes you on a journey that you will remember forever. And, the colours of the illustrations are so vivid that they etch a beautiful mosaic in your mind. What Can I Be? is inspiringly creative. What Can I Be? is published by Princeton Architectural Press, and distributed in Canada by PGC Books.